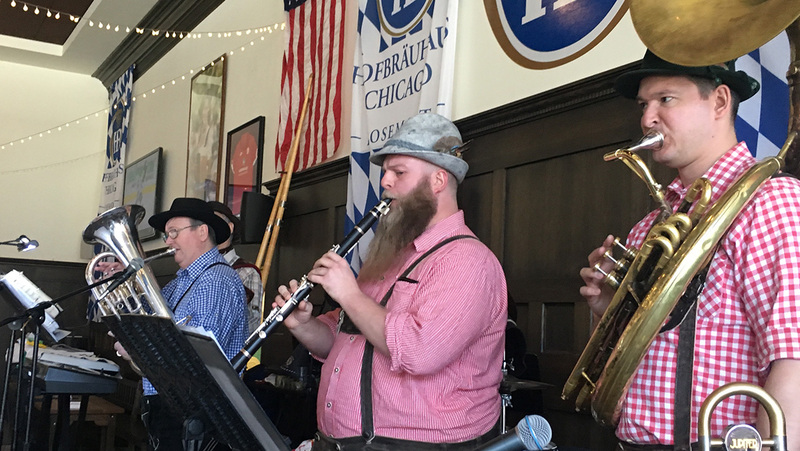 Wednesday September 16th: Alpine Thunder appears on the WGN Morning Show for the 30th annual Berghoff Oktoberfest with Ana and the Around the Town segment. 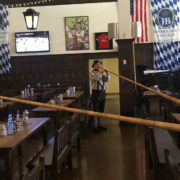 It was a fun session with Ana as she played alphorn with the band. 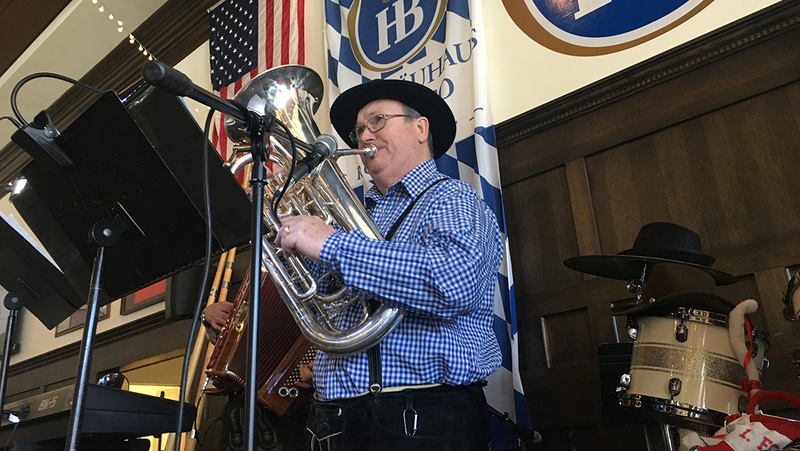 We are looking forward to the celebration of Schaumburg, Illinois, USA, acknowledging their heritage, the county of Schaumburg, Germany. 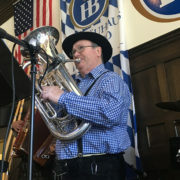 Many of the original settlers were from this German county. 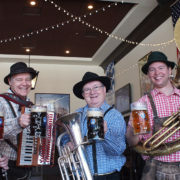 Alpine Thunder will be performing a cultural program integrating German geography and culture with German folk music. 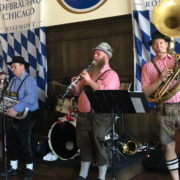 The date is Wednesday, June 24th, at the Schaumburg Public Library from 7-8:15PM. 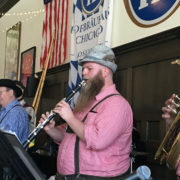 View our Show section on our web site for more details. 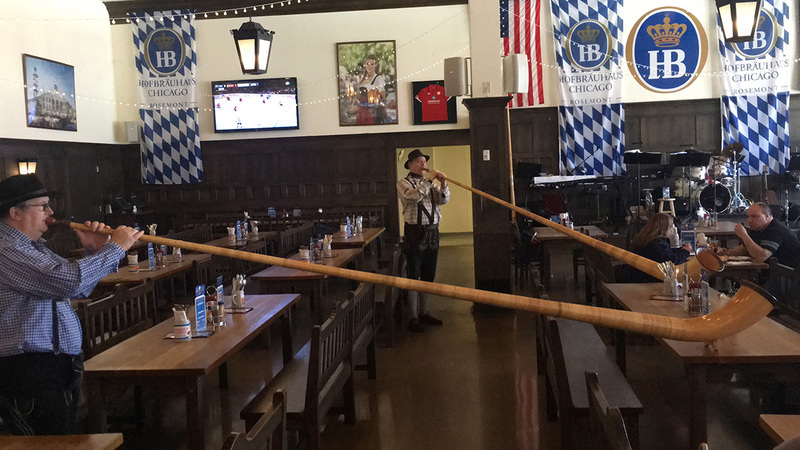 Starting in Oktoberfest 2014 we have added a second alphorn to our musical instrument capabilities. 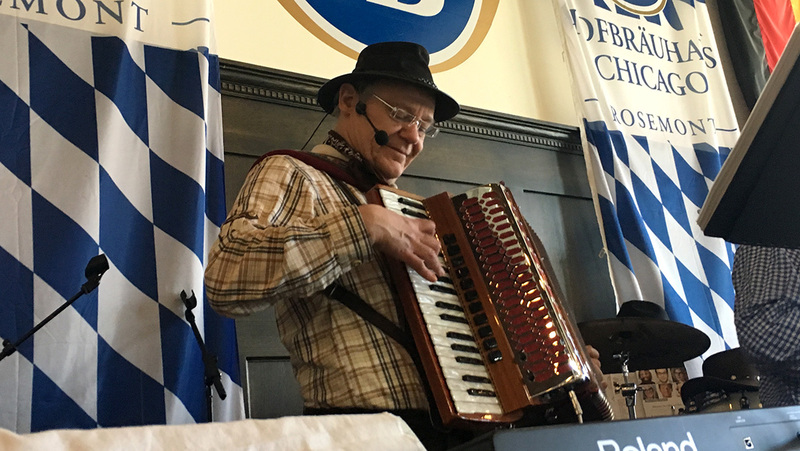 Gut Holz – Besserere Stimmung! 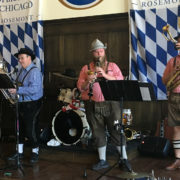 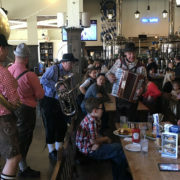 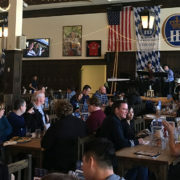 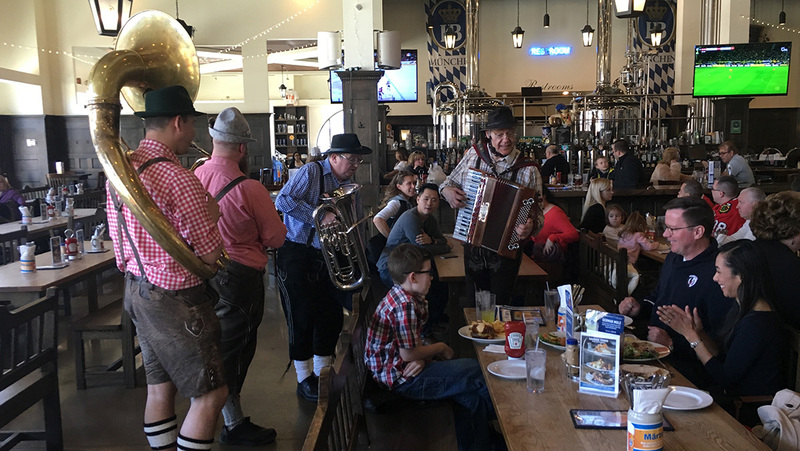 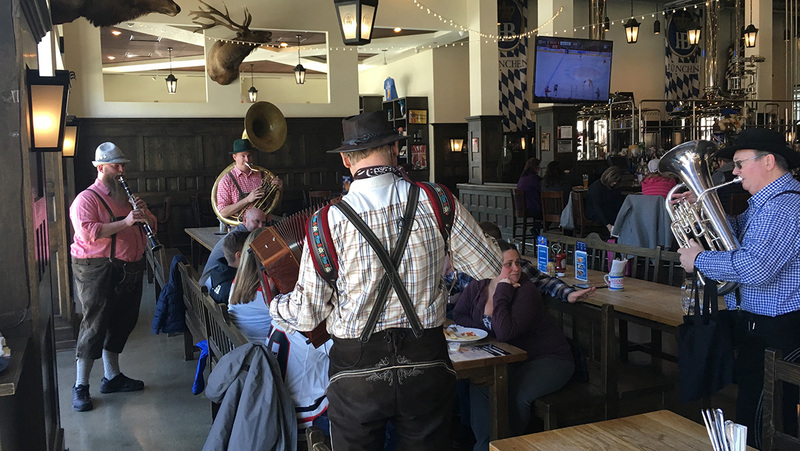 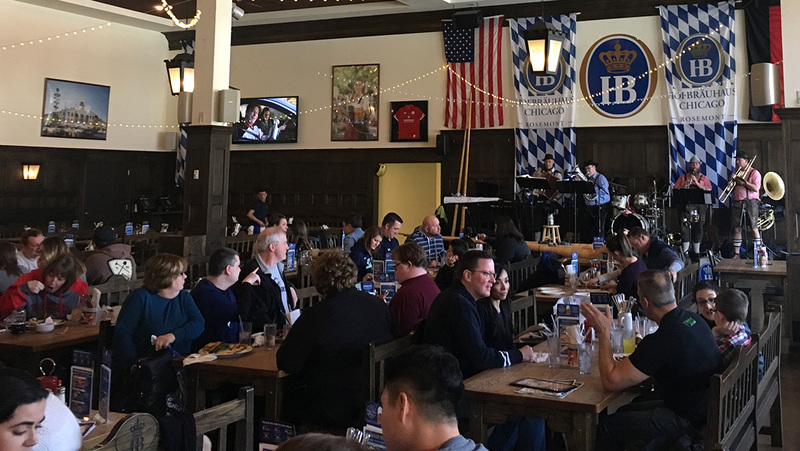 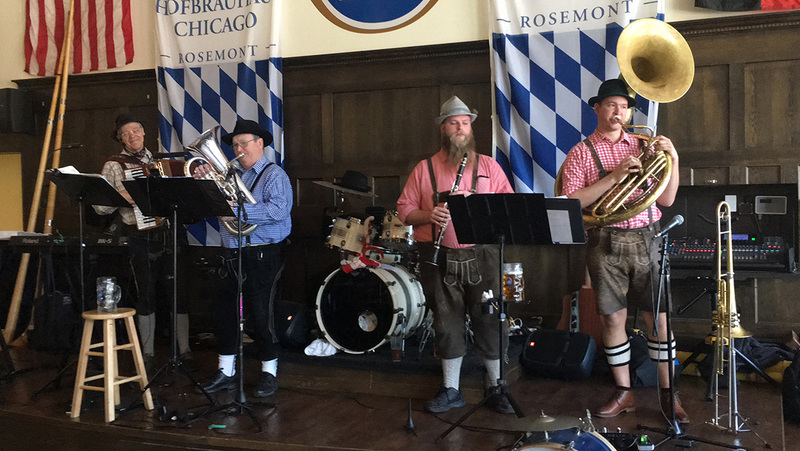 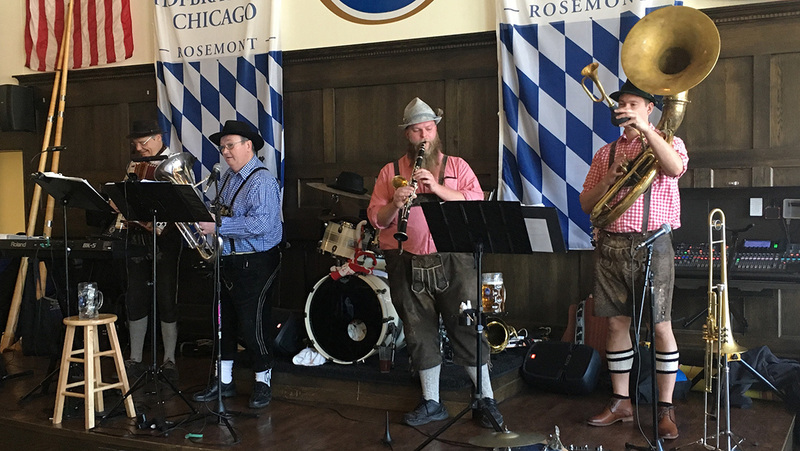 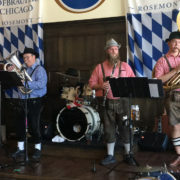 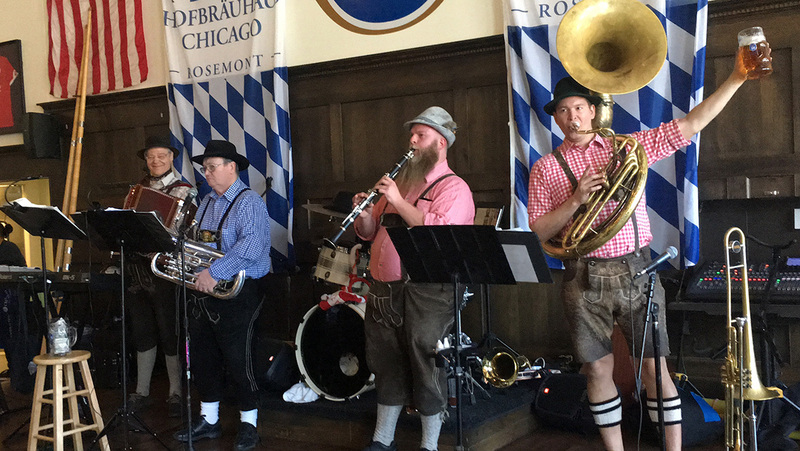 New Yorker Staats-Zeitung und Jes Rau’s German Times published an article entitled “In Chicago Stands A Hofbräuhaus,” by Gunter and Mary Nitsch. 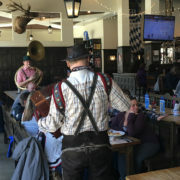 The article discussed many of the wonderful characteristics of the Hofbräuhaus and also featured a photo of Ken and Gabe as the entusiastic Alpine Thunder House Band. 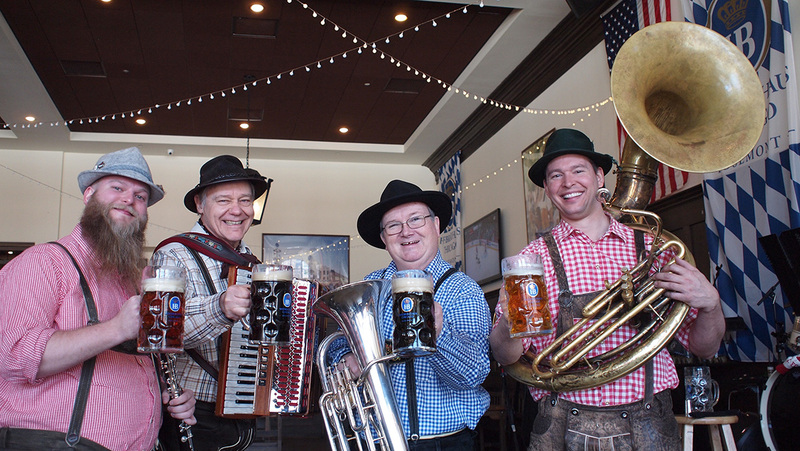 Alpine Thunder Celebrates 10 Years in 2014! 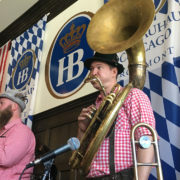 We are looking forward to performing at all the venues this year and hopfully for another 10 years – at least! 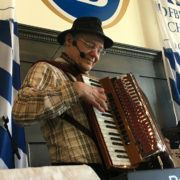 We thank all our venues/clients who continue to support live German folk music and German culture. 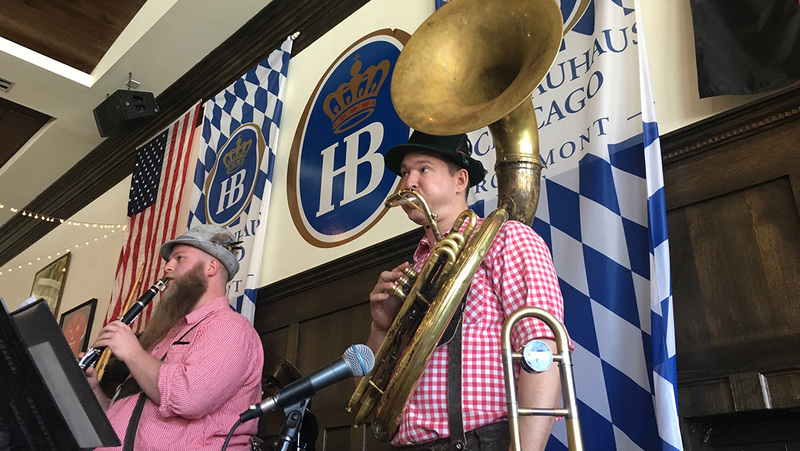 Join the Hofbräuhaus on their first year anniversary celebration on January, 24th, 2014.